«Алексей Николаевич, что он здесь делает?». - No, I refused Costner for another reason. Basically, I have decided to no longer work with strong foreign skaters. Because, back from our camps, Carolina Kostner all passes to her coach. And we do not need that. Уехала из Пинзоло на несколько дней, и уже соскучилась по моим парням,которые тренируются по 10 часов в сутки,дети берут пример с Жени! Наша маленькая команда от Ватикана: я, Кристина и Лучилла едем на сборы в Пинзолу проходить мастер - класс по фигурному катаниюу Алексея Мишина. Of course!! they are potential adversaries of the Russian skaters! Personally I do not agree with such policies and I do not understand them. A lot of other coaches have open seminaries and training sessions (Orser for example, which is not ashamed to train Fernandez or Hanyu, who are Chan's rivals). Banning Carolina or Fernandez make Mishin and Evgeni look like they were afraid of tough competition. In my opinion skaters should attend as many training camps as they could, it is the only way to improve their skating overall. A lot of other coaches have open seminaries and training sessions (Orser for example, which is not ashamed to train Fernandez or Hanyu, who are Chan's rivals). Orser is not Chan's coach. Yes, but the manager of the camp said that Mishin, "does not want to train russian's rivals ahead of the Olympics. Believes that it is dishonorable". 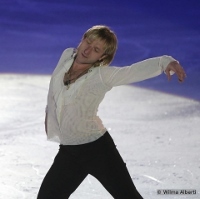 She did not say he does not want to train Plushenko's rival (Fernandez). In fact Carolina is not even rival of the Russian skaters, she is rival of Mao Asada and Yuna Kim and a proper training with Mr. Mishin could have helped her to place high at the Olympics for Europe's glory. I think Carolina is a rival of Elizaveta, why not? And according to Mishin's words Evgeni was surprised with Fernandez presence in the camp. 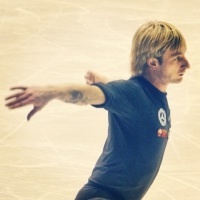 So, Mishin doesn't want to help to Plushenko's rivals anymore. 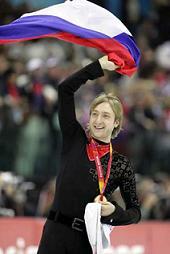 BTW, I doubt that Plushenko would be welcomed in the camp of any foreign top coach. You are wrong. Elizaveta's rival is Carolina in Europe. She can beat her, as she did in 2011. And Mishin isn't Carolina's coach. Why does he help her before Sochi? And Orser is the coach of Javi and Yuzu, isn't coach of Chan, it isn't the same situation. And I really believe Plushy is the best ever, but I don't say Javier isn't opponent of Plushy, now. Great idea, Evgeni should approach Orser for a summer camp!